I think that many of the ones expecting the final episode of series 7, The name of the Doctor, were in some degree dissapointed about the way Steven Moffat has chosen to solve the Clara Oswald’s mystery. Last week, since the release of the last episode, Nightmare in Silver, a lot of ideas about her identity appeared: she was the Doctor and River Song’s daughter, she was a future incanation of the Doctor (the 12th or the 13th), she was some lost Time Lord from the old series (especially that Steven Moffat said that Clara and the Doctor have met many times in his past), etc. You can search for these ideas, unless you already had some of these them (or similar). But, eventually, the impossible girl was a regular human girl, as you all know – the Doctor studied her life closely. But how she got to be that special? Not only for the Doctor, but for the entire Universe? Let me tell you, but for this I have to start with the beginning: a convict in the Victorian England told Madame Vastra that the Whispers have spoken about the greatest Doctor’s secret, the one he will take to the grave, and that it was found. Worried, Vastra and Jenny make a conference beyond space and time summoining Strax (left on vacantion), Clara Oswald from 2013, and River Song. The deceased River Song, the one saved by the Doctor as software in the Library’s database (the episodes Silence in the Library / Forest of the Dead). The general conclusion, just before being attacked by the new monsters (first time presented in this episode), the Whisperes, is that they have to get to Tranzelor. Everyone return to his own reality: Vastra to Jenny’s dead body, Strax to the place he was spending his free weekend – they get captured by the Whisperers… and the Great Intelligence impersonated by the same doctor Simeon you could watch in the Christmas special episode. Or almost the same: the Great Inelligence used only his image. Probably you remember that Strax was a nurse at some point, he was recruted along with Vastra, Jenny, Dorian and many others to save Amy Pond and her daughter in the episode A good man goes to war. That knowledge help Strax to save Jenny, but they were of no use when all 3 of them are in danger to lose their lifes, several minutes later. Clara, along with River Song’s ghost, returns home, meet the Doctor and she tells him about the conference, the message and the trip they have to make to Trenzalor. The expresion “to keep a secret to the grave” has a new meening: the Doctor’s grave is on Trenzalor, the Time Lords’ and their TARDIS-es planet-cemetery. Everybody dies, even the aliens with regenerative powers, and one of the problems about the time travels is that the travelers are put (sometimes) in the situation to visit their own grave. Hardly, Clara, the Doctor and the TARDIS get there, meet their friends and they are almost put to death in order to make the Time Lord to speak his name loudly in order to open his grave to all the visitors. Do you really think that was a body inside? After the Doctor changed so many bodies during his long life in order to survice? I am letting you find out alone what was in the grave. I only can say that the Great Intelligence’s plan for revenge was to kill the Doctor in all the moments of his life, and the access to his remains was necessary for that action. To save the Doctor Clara accepts to break her being into millions of pieces all along the time and space – the entire Universe. She was always present in Doctor’s life, helping and saving him in ways he would never have suspected until now. It was an excellent episode, showing the vulnerabilities of a man who’s name alone made entire armies to run away. River and Doctor’s love endures even after her death, and their story will continue further – it remains to watch it how. And John Hurt’s appearance in the end was sensational, he is that incarantion that will betray the name of the Doctor by taking tough decisions necessary to peace and sanity – probably of the entire Universe. Director: Saul Metzstein, writer and producer: Steven Moffat. Cast: Matt Smith (The Doctor), Jenna-Louise Coleman (Clara Oswald), Richard E. Grant (The Great Intelligence), Samuel Irvine (Messenger Boy), Alex Kingston (River Song), Neve McIntosh (Madame Vastra), Dan Starkey (Strax), Catrin Stewart (Jenny Flint), Nasi Voutsas (Andro). Do you know about the not scientific proved story that the retina from a dead man’s eyes keeps the very last thing he had seen before dying? The medicine says that things can’t happen, at least in normal conditions. In the victorian times, in Yorkshire the year 1983 (the very next year after the events in the Christmas special episode, The snowmen, from London), started to appear dead man in the canals with a strange spect: scarlet-red skin, almost shining, and with the images from the moment of dead imprinted on the retina. The Doctor and Clara arrive in Yorkshire by accident (they wanted to get in London) and become interested by the mystery. They discover that it was about some poison and the Sweetville mill, managed by Mrs. Gillyflower, is somehow related to that deaths. 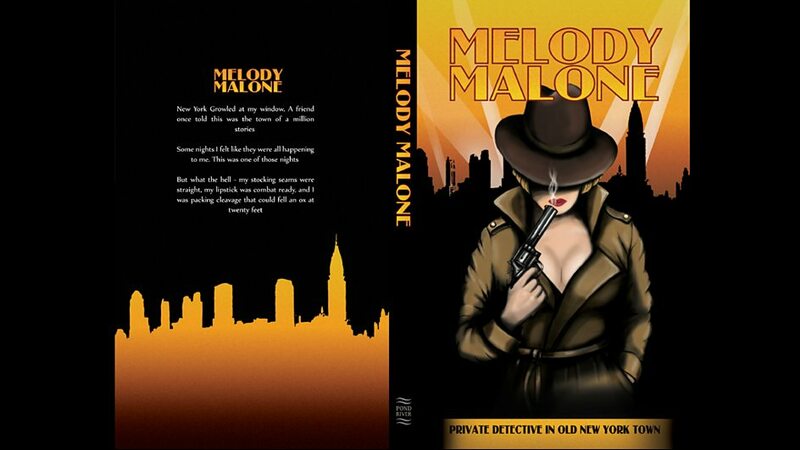 They try to get inside the society presided by the old lady and her silent partner, Mr. Sweet, and they disappear from the face of the Earth – at least from the point of everyone else. It’s not something unusual: about everybody accepted in the group disappeared without trace… or they were found dead in mysterious circumstances. Madame Vastra, Jenny and Strax get involved in the story when the brother of a deceased reporter shows them the pictures he has taken… the Doctor’s image was very clear in the reporter’s eyes, so they go to solve the mystery and save the Doctor. Jenna gets inside the mill and finds the prisoner – a waste of the process that transformed the normal humans into scarlet dead corps. The only reason he was still alive (beside his internal alien chemistry that made him partially immune to the virus) was the attachment Ada Gillyflower (the blind daughter of the old lady responsible for everything) felt for him – she preferred to keep a monster as companion instead throwing him into the canals, along with the rest of the waste. The Doctor is saved, along with Jenny they save Clara, and the team reunited (Vastra and Strax join them) try to save the world one more time: the Sweetville is the Winifred Gillyflower trial to save the most beautiful and the most intelligent from an disaster she was intending to do. She and the very old leech (the reptilians had very similar problems about 65 million years ago) was bound into a symbiotic creature – its red colored venom was produced in industrial quantities to transform and kill people. The director is Saul Metzstein, and the writer is Mark Gatiss. The cast: Matt Smith (The Doctor), Jenna-Louise Coleman (Clara Oswald), Jack Oliver Hudson (Urchin Boy), Neve McIntosh (Madame Vastra), Diana Rigg (Winifred Gillyflower), Dan Starkey (Strax), Catrin Stewart (Jenny Flint), Rachael Stirling (Ada Gillyflower). If I have to describe this episode of Doctor Who I would say it’s intense. Very intense. The fans that watched the series 7 so far noticed by now that the Tardis and Clara did not understood too well… Or, at least, not as the Doctor would have liked… teasing from one girl to another being something normal lately (the last few episodes). That’s probably why the Tardis was impersonated by a woman last season, in The Doctor’s wife. So the Doctor let Clara pilot the Tardis once, a test to make them deal with each other, a mistake that let some scavengers recovering lost abandoned ships to target the blue box that was apparently lost in space and to take it out. The 3 brothers Van Baalen from the salvage ship get the damaged Tardis inside and try to get inside. The succeed only when the Doctor convince them to save Clara, trapped and in danger, offering them the most valuable salvage of their lives. Doctor’s power of persuasion is matched only by the lies he uses to force the Van Baalen brothers to do their best in saving Clara: he stars a false auto destruct mechanism setting it for one hour, then it reduce the time period to 30 minutes because of the protests. He would reduce it again to 15 minutes if his new prisoners would protest again. The danger is not small: the toxic gases and fire fill entire Tardis sections, unknown creatures (at least in the beginning) hunts the people inside. Even the self destruct was false, the Tardis engine overloaded and it was about to explode (as the Doctor discovered to some point). That’s why I said the episode was very intense (and funny from time to time, especially because of Clara): the heroes does not stay for a moment, many times the action does not stop and it’s very alert, and the surprises are not just a few. The references about the interior of the Tardis are many spread all over the last 7 series, the library being somewhere next to the pool, the old control rooms being kept in storage, safe, etc. In this episode we did not get to the pool, but we visited (with Clara’s help) the building sized library. The Time Lord’s companion find out the name of the Doctor, preparing so the season 7 finale (The name of the Doctor), but she might not remember this essential element to the end of the episode. The solution found to solve the problems is rather familiar to the ones watching the 5 series and know about the cracks in time through the moments in the time, present and future are leaking. I don’t want to insist about another details, it remains for you to watch the episode to find them out. But the solution to solve the problem is very simple and elegant, allowing space for mystery and other questions. Director Mat King, writer Stephen Thompson, producer Marcus Wilson, executive producers Steven Moffat şi Caroline Skinner. 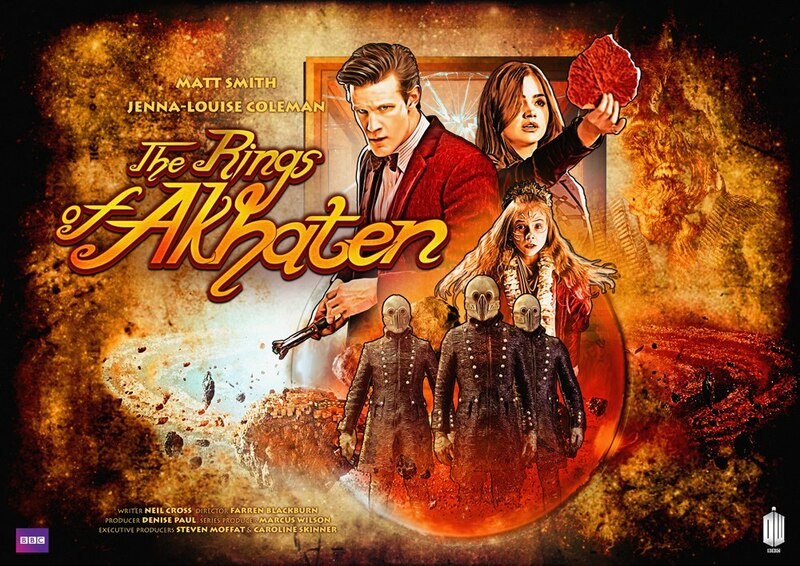 Cast: Matt Smith (Eleventh Doctor), Jenna-Louise Coleman (Clara Oswald), Ashley Walters (Gregor Van Baalen), Mark Oliver (Bram Van Baalen), Jahvel Hall (Tricky Van Baalen). If you love the ghost stories you will love episode 9, season 7 of new Doctor Who series. It does not have the name Hide for nothing: the Doctor (Matt Smith) and Clara Oswald (Jenna-Louise Coleman) get to Caliburn House where the supernatural investigator Professor Alan Palmer (Dougray Scott) and his “emotional psychic” assistant Emma Grayling (Jessica Raineas) try to gather information about the ghost haunting the mansion. The historical data gathered about the Witch of the Well covered a few centuries when the Doctor and Clara dropped in. More: besided the 3 human occupants and a Time Lord there were a creature inside the mansion, passing almost unnoticeable from one room to another. It frightened the Doctor and his companion in their trial to know the house and find the ghost. In this episode everyone has his/her own agenda: the professor Alan Palmer wanted to find out more about the life beyond because of his experiences in the war, when he killed and people died because of him. The Doctor wanted to ask Emma Grayling about his current companion, the mistery girl that died twice and still was beside him. Clara had something against the TARDIS that did not accepted her easily, taunting her any time she could. Emma was in love with the professor and, as any love story, that was blocking her native empathy and she could not feel professor’s feeling toward her. All these stories are around the ghost in the Caliburn House and the successful trials to contact her. The TARDIS offered the Doctor the possibility to recognize in this ghost another temporal traveler that got stranded into a pocket Universe – a bubble inside our own Universe, but almost apart from it. It was needed a strong medium in order to make a connection between the two Universes and to save the captives from the smaller one. No, the plural is not a mistake. Because there were 2 prisoners: a beautiful dark time traveler woman named Hila (Kemi-Bo Jacobs) and the partner of the creature I’ve mentioned before. But I am letting you discover yourselves how the situation was solved and how the love stories were continued. I’ve already said to much, so I can mention only one element: there is a surprise I’ve not mentioned. Written by Neil Cross. Cast: The Doctor (Matt Smith), Clara (Jenna-Louise Coleman), Alec Palmer (Dougray Scott), Emma Grayling (Jessica Raine), Hila (Kemi-Bo Jacobs), The Crooked Man (Aiden Cook). Let’s put the problem a little different this time: with a exercise for imagination. How would you feel if you were a marshal, commander for an entire fleet, hero to your species, exiled, and you discover that you have been trapped in ice for about 5 thousand years? More: your people does not respond to your distress signals, while the natives attack you and chain you to the wall. Considering all these, considering the Martian code that says if you attack one of us you attack all of us, it’s obvious thatÂ the Doctor was worriedÂ when he found out the Ice Warrior he met on the nuclear soviet submarine in 1983 was the Great MarshalÂ Skaldak. For the one who does not know the old series and the Ice Warriors’ previous appearances, they are a species of lizards from Mars that became cyborgs in order to survice on their planet seizured by an Ice Age (one year, long ago, the spring just did not come). They ruled over a large area before their planet heated up quickly and everything went wrong. 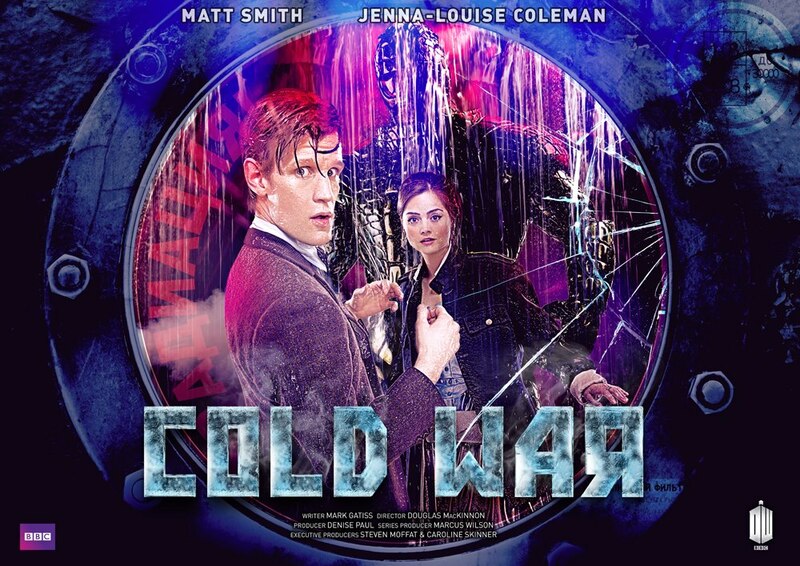 In the moment the Doctor and his companion, Clara Oswald, get under the ice pack the soviet with a load of nuclear missiles, Skaldak was already awake, away from the ice prison. Damaged, the submarine was sinking uncontrollable – a risky maneuver was necessary in order to stop it: they proped it up to an underwater cliff at a dept of 700 meters. The Martian felt offended the soviet soldiers’ attack, also the chaining to the wall. The lack of response from his people make him believe that they dissapeared, he was deseted and he had only revenge left. The nuclear missiles from thw war ship and the Cold War, the great menace of theÂ 1980’s that kept the Americans, the Soviets and their alliets under tension, are a very good opportunity to make Earth into a new red planet… but with the blood of its inhabitants. As it was told, this episode was the first ocassion the Doctor was able to see an Ice Warrior outside theÂ armour that made them famous in the past. But I have no intention to offer you details about how the Martian lizzard looks like, or about how they solved the problem. All I can say is that there isÂ always honor between warriors, no matter their side. It was an episode a little… dark. It reminded me about the Alien series with elements from the Predator series rather than the usual Doctor Who episodes. But it was an interesting show and I am recommending it. Do you remember the dry leaf that had appeared in Clara’s book, the one with 101 places to visit? At the end of the previous episode,Â The Bells of Saint John, the Doctor asked why she was keeping a leaf, and the answer that he got was very simple: that was not a leaf, that was the first chapter. When you’ll have the chance to watch (again) The rings of Akhaten remember all these. Also in the previous episode the Time Lord is decided to find out exactly who Clara Oswald is, and we are finding along him in this episode her short history: her parents met because that dry leaf the wind had taken from a tree on the street into Clara’s dad’s face, they felt in love, got married and had a daughter. She later had a great connection with the mother she lost as a teenager. Do you love aliens? Clara’s first trip to outer space is full of them, as various and strange as possible, so the interactions with some of the are… not as smooth as she would like. 😀 The inhabitants of the 7 worlds orbiting around the star Akhaten share a common belief: the life in the Universe started on a planet in their own system. So they have built a pyramid shaped temple on that planet, and on every thousand years (or so), when the rings are aligned, they are keeping the Festival of Offerings. Walking on what seems rather a bazaar Clara meets a girl, Mary, the Queen of Years, that, visible frightened, runs trying to escape from some guys chasing her. Doctor’s companion finds out that the little girl was supposing to sing their stories in front of the world and the Old God. And, as any child, she was afraid not to make mistakes. Clara tries to give her confidence, she succeeds, but she can not stay aside when the girls is taken away to the temple during the show. She and the Doctor try to save her and, eventually, they have to fight against the Old God supposed to be sleeping. The sings and the Queen of Years sacrifice were meant to keep him away, sleeping for another thousand years or so, until a new ring alignment and another Festival of Offerings. 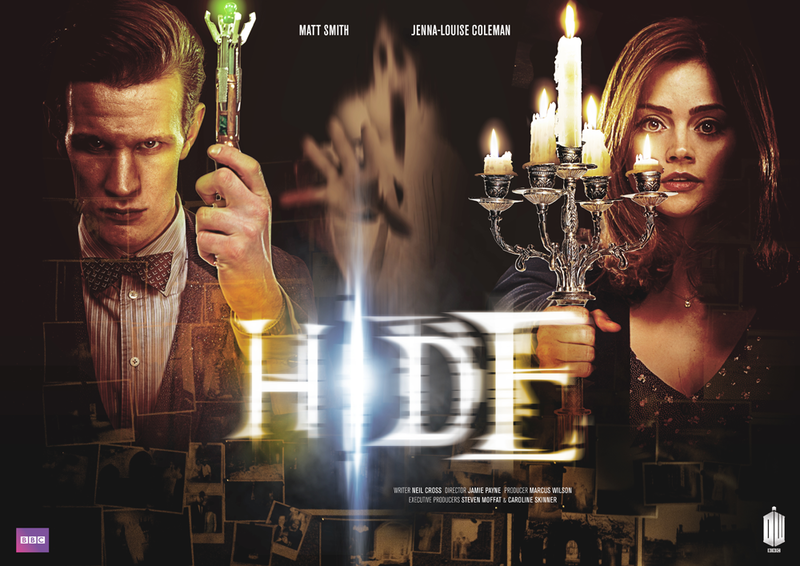 Cast: Matt Smith (The Doctor), Jenna-Louise Coleman (Clara), Emilia Jones (Merry), Michael Dixon (Dave), Nicola Sian (Ellie), Chris Anderson (The Chorister), Aidan Cook (The Mummy), Karl Greenwood (Dor’een). Director: Farren Blackburn, producer: Denise Paul, writer: Neil Cross. Series Producer: Marcus Wilson. Do you remember the warningÂ posted on youtube 2 days ago? The one warning people that there is a dangerous wi-fi signal that they must not access because others will have access to you using it and they will steal your souls to upload on the internet? Well this warning is the beginning of the new Doctor Who episode released by BBC a few hours ago. In theÂ The Bells of Saint John prequelÂ the Doctor isÂ despondent because he did not found Clara, but now we find him retired to a monastery in the year 1207 AD. 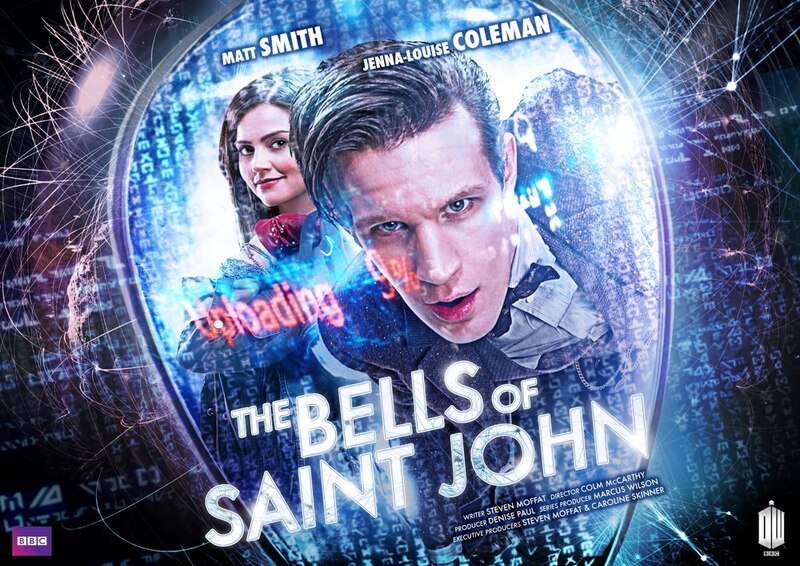 To be clear: The Bells of Saint John is the phone ringing, the old fashion phone set on the outside of TARDIS. The link to Saint John is the Saint John ambulanceÂ emblemÂ on the TARDIS next door. At some point the Â Doctor is told the the bells are ringing and he is hurrying to answer the phone. The woman searching for him got the number from someone from the shop sometimes in 2013, that person have told her the Doctor was offering the best tech support ever and she needed help to get the wi-fi connection. When he finds out that the wi-fi password wasÂ rycbar123, the initials fromÂ run you clever boy and remember, the Doctor makes the connection between the unknown woman and the one searching for him… and a few seconds later he is at her door. The episode is great, and the Doctor’s insistenceÂ to introduce himself to a Clara that didn’t remember him were useful when she was uploaded to an internet server (yes, she accidental accessed at some point the dangerous wi-fi). The Great Intelligence that make itself a presence in the Christmas Special is very much present in this episode, using people like puppets. I rather write no more about this episode, it’s too dynamic and too intense to tell you more about it. My suggestion is to follow it, it’s the first page of an extraordinary adventure. Cast: The Doctor (Matt Smith), Clara (Jenna-Louise Coleman), Miss Kizlet (Celia Imrie), Mahler (Robert Whitlock), Alexei (Dan Li), Nabile (Manpreet Bachu), Paul (Sean Knopp), The Abbott (James Greene), George (Geff Francis), Angie (Eve de Leon Allen), Artie (Kassius Carey Johnson), Little Girl (Danielle Eames), Barista (Fred Pearson), Waitress (Jade Anouka), Newsreader (Olivia Hill), Child Reading with Comic (Isabella Blake-Thomas), Man with Chips (Matthew Earley), Pilot (Antony Edridge). The source of the images is facebook. Upcoming Doctor Who <b>series</b> 7B episode synopses – Time and The â€“ ! The Snowmen, 2012 Christmas Special episode shows a new opening title with Math Smith as the Doctor and Jenna-Louise Coleman as Clara, his companion. – Aaa, refreshing to see that you take an interest again! Was she nice? asked Madam Vastra on the phone. – I’ve just spoke to her! says the grumpy Doctor. – And made your usual impact, no doubt! – O, no impact at all! continue the Doctor with the same tone. That days are over. – You can’t help yourself, it’s the same story every time, and it always begins with the same two words! – She’ll never be able to find me again, she does not even have the name! Doctor! What two words?! – Doctor? asked Clara pulling her beautiful head through the trap on the roof of the carriage.Â DOCTOR WHO? The fans ofÂ the Doctor Who seriesÂ already know that BBC One and BBC America have broadcastÂ the Special Christmas episode, The Snowmen. The dialog from the beginning of this article appears in the first part of the episode, when a Doctor mourning his loses (the newest one being theÂ AmyÂ andÂ Rory‘sÂ disapearance) and prefer solitude, considering that the good old days, when he was saving the Earth, humans and Christmas, have past and they will not return. The action is happening in the yearÂ 1892, andÂ Madam Vastra and her companions (Strax and Jenny Flint) are investigatingÂ the problems that appeared with the strange snow fallen over town and the carnivore snowmen. The one behind all these is Doctor Simeon, the representative of the Great Intelligence institute, a sinister individual interested on the pond in the Clara’s master backyard. In the previous winter theÂ Captain Latimer’s children’sÂ Governess have drown in that very pond, and Doctor Simeon was interested on the ice that copied the woman’s genetic structure in order to create an army of live snowmen. With their help he wanted to conquer the world and end the human kind. So the Doctor have to end his solitude (especially because of Clara who’s always searching for him, first driven by curiosity, then by need) in order to save the world. One more time. He does not save the Governess in the end, Clara dies, but, at least we take a peek of theÂ TardisÂ when she visits it. If you haven’t already know, the TARDIS have a new look that have been presented the first time in the episode broadcast yesterday. It was an interesting episode, very funny.Â The snowmenÂ keeps you around the TV/computer not only because of the action itself (it does not have too many breaks), but also because of the dialog. Strax, the Sontaran traveling with the Doctor and Madam Vasta in this episode is very hilarious… but I let you discover how. A few months ago, when the first episode of season 7,Â Asylum of the Daleks, had been first broadcast I had the surprise to recognizeÂ Jenna-Louise ColemanÂ playing a character in it. She had been announced as the next Doctor Who companion after the exist of theÂ Ponds (Amy PondÂ andÂ Rory Williams) and she was scheduled to first appear in the Christmas Special episode (yesterday) under the nameÂ Clara. Does the name Clara Oswin Oswald tells you something?Â Â It’s the full name of theÂ Governess from yesterday’s episode… and the character played byÂ Jenna-Louise ColemanÂ in Asylum of the Daleks. More: they are both dead! And, even now, Jenna-Louise is the current Doctor’s companion. Have I made you curious?Â Â I say it’s enough to make you try to find more about all these… about the mystery surrounding the new character and the Doctor’s run to meet her again. Director:Â Saul Metzstein, producer:Â Marcus Wilson,Â Writer:Â Steven Moffat. Yesterday evening BBC broadcast the forth episode of series 7 called The power of Three. For Amy, Rory and the rest of the world it was the year of slow invasion starting the day when the Earth was filled with small cubes, very resistant and apparently harmless: they did not react and interact with anything. It was the year when the Doctor remained long enough to become a part of Ponds’ life instead taking them with him in adventures all over the Universe and Time. Of course, he did this very thing some time in the yesterday episode: a 6 weeks break in the long waiting until the cubes started to react, but that’s another story. The forth episode is not quite the episode you would expect: the Doctor had to run, but he had also to wait. If you don’t enjoy waiting think what means to be the Doctor: a Time Lord what can go almost anywhere in space and time to moments when something interesting happens. Your most terrible torment can not be compared to the one of the Doctor when he has to wait. But he saved the world, again. Because the cubes started to react, to gather information about the details of the planet around them. And to kill humans. I rather not say who was behind them. It’s about an ancient force, the one behind the story heard by all the youngÂ Gallifreyens every time when they had to behave. Until the end the Doctor and his companions found out it was not an invasion, it was an attempt of eradication of a species before spreadingÂ in the extraterrestrial space. But the DoctorÂ baffled that plan in his own way. Among the actors there areÂ Matt Smith (The Doctor), Karen Gillan (Amy Pond), Arthur Darvill (Rory Williams), Mark Williams (Brian Williams), Jemma Redgrave (Kate Stewart), Steven Berkoff (Shakri), Selva Rasalingam (Ranjit), Alice O’Connell (Laura), Peter Cartwright (Arnold Underwood), David Beck (Orderly 1), Daniel Beck (Orderly 2), David Hartley (Unit ResearcherÂ ). The director is Douglas Mackinnon, the producer is Marcus Wilson, the writer is Chris Chibnall. Yesterday night BBC broadcast the third episode of Doctor BBC’s season 7. The town called Mercy is on American soil (at least in the script, because the filming was done in Spain), the time period is around the middle of XIX century, at least if I consider the Doctor’s remark that the electric lights of the town were about a decade sooner than expected. The Doctor, Amy and Rory make an entrance in the town saloon and the reaction they are getting from the usual customers Â is not quite normal: they are taken out to the limit of the town, throwing the Doctor in the way of the cyborg that was holding the town prisoner. The reason? The confusion they were making when the Time Lord introduced himself as an Alien Doctor. The one the Cyborg was looking for was hold in town prison, even he had help the humans several times in the last few months (with the electric lights and healing some sick people). What would you do if you have nearby a scientist that have experienced on member of his own species in order to transform them into cybernetic organisms and win a war that was raging for almost a decade? Would you send him to the one who want justice, one of creature that he made, even if this does not correspond to your own moral values or you would try to find a way to solve it in a good way to everybody? Don’t hurry to respond to the question. It’s not an easy one, so that’s why I am not writing anything else about this episode of Doctor Who. If you have seen it, than it’s excellent: I don’t need to tell you about it. If you did not watch the episode yet just do it. You know about it, right?Â The Doctor gets a Stetson (and a gun! ), and finds himself the reluctant sheriff of a Western town under siege by a relentless cyborg. 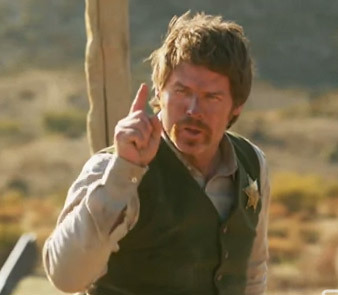 Do I have to remind you that Ben Browder is going to guest star this week in Doctor Who? I hope not! I hope you are already ready for the show and you are expecting it! The actor known for his roles in Farscape and Stargate SG-1 willÂ play the cowboy Isaac in Wild West adventure A Town Called Mercy, the episode that’s going to be broadcast on BBC One on Saturday. “It’s amazing thatÂ Doctor WhoÂ can attract these international stars,” Doctor Who writer Whithouse toldÂ SFX. “He was fantastic. I was really, really pleased that we got him because it’s an odd part – that character Isaac. Toby Whithouse also joked that he had avoidedÂ Doctor Who‘s previous jaunt to the Wild West – 1966’s William Hartnell adventure ‘The Gunfighters’. Doctor WhoÂ continues this Saturday (September 15) at 7.35pm on BBC One. In the US, the series airs on BBC America. Do you remember the siluriens that appeared in several episodes of Doctor Who’s recent series? It’s the species of human alike reptilians that lived a few million years on the surface of Earth before retiring inside the planet in order to save themselves from a comet they believed it would destroy the life on the surface. In this episode the Doctor is called in the XXIVth century in order to solve the problem of a spaceship approaching to Earth without answering in any way to the signals the humans were sending in its direction. The missiles Â were ready, they were launched when the ship was in their range, but it was wanted that the Doctor to return the spaceship from it’s course before it was too late. The Queen Nefertiti was nearby the Doctor when he got the message, she remained by his side all the episode. The Doctor asked for help from Ridell, a hunter in Africa in the beginning ot the XXth century, and he gathered Amy and Rory from they home. An unexpected passenger got on Tardis when it materialized around the Ponds: Brian Williams, Rory’s father. The first living being the adventurers find on the spaceship are the dinosaurs: every section of the ship was dedicated to one species of reptile. The vehicle represents an alternative way to save the life on Earth by the siluriens from the destruction brought by the comet, a spatial arc that was hijacked by a pirate (Solomon) in order to sell the cargo to a very good price. The episode have some surprises, but it’s all I can tell you about it. It’s too fresh, it was broadcast by BBC One only last night. Watch it for more details. The cast is:Â Matt Smith (The Doctor), Karen Gillan (Amy Pond), Arthur Darvill (Rory Williams), Riann Steele (queen Nefertiti), Sunetra Sarker (Indira), Rupert Graves (Riddell), Mark Williams (Brian Williams), David Bradley (Solomon), Noel Byrne (robot 1), Richard Garaghty (robot 2), Richard Hope (Bleytal), Rudi Dharmalingam (ISA worker). The director is Saul Metzstein, the writer is Chis Chibna, the produser isÂ Marcus Wilson. More images about the episode areÂ here. Some time ago BBC was searching for all the Daleks known to man… At that time I knew that something was happening, but I was not sure what and when. I knew, of course, that something BIG was happening, as usual when the Doctor is involved… but I had to watch the Asylum of the Daleks to find out exactly what: the Parliament of the Daleks. And, why not, the Prime Minister. Of the Daleks. Some time ago, today, I found about the effort made to reunite every Dalek ever made… I don’t think it was all hard work, it must have been some fun some times along the way, but it’s interesting to find out more details about the job. â€œItâ€™s only when I read Steven Moffatâ€™s script in its entirety that I thought: â€˜Oh God, what are we going to do now?â€™â€ said series producer Marcus Wilson, who was tasked with the logistical nightmare of assemblingÂ Asylum Of The Dalekâ€˜s pepper-pot party â€” most of which they didnâ€™t even own. More information about how the Daleks and their CGI image have been used can be found here. BBC AMERICAâ€™s â€œDoctor Whoâ€ returns after a record-breaking season with five blockbuster episodes on September 1 as part ofÂ Supernatural Saturday. 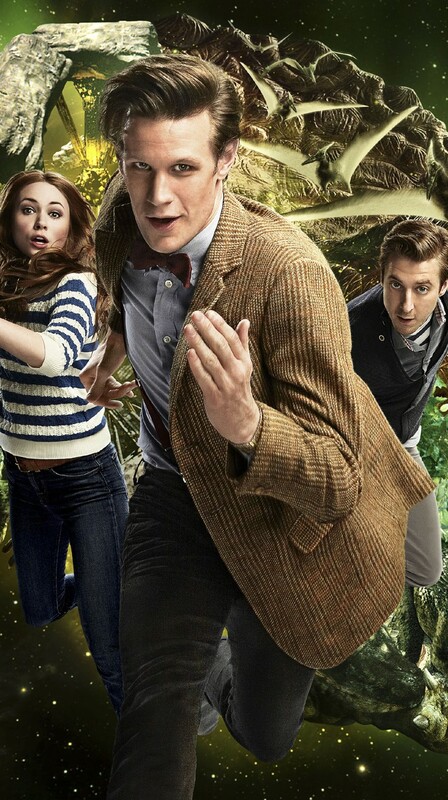 Join the Doctor, his companions Amy and Rory (aka the Ponds) and numerous friends on their latest escapades through space and time where they puzzle an unexpected invasion of Earth, save a spaceship full of dinosaurs, don Stetsons in a Wild Wild West adventure and are even kidnapped by the Doctorâ€™s oldest foe. 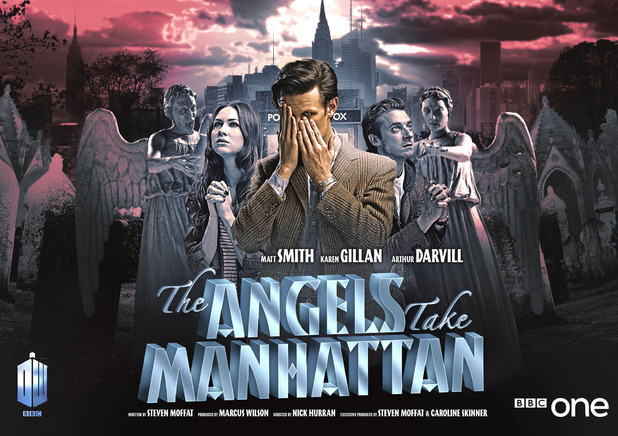 The explosive series concludes with Amy and Roryâ€™s heart-breaking farewell â€“ a race against time through the streets of Manhattan. Will the Doctor really lose the Ponds forever? Thereâ€™s only one way to find outâ€¦Â â€œDoctor Whoâ€ premieres Saturday, September 1, 9:00pm ET as part ofÂ Supernatural Saturday. The series Â 7 premier airs at 7.20pm on BBC 1 and BBC One HD in the UK. On Canada, it is also announced to air on the SPACE channel at 9pm ET. Until then remember to watch the Life of Ponds mini-series. Courtesy of last week’s edition ofÂ Doctor Who MagazineÂ and Den of geek comes news of three guest cast members appearing opposite Matt Smith and Jenna-Louise Coleman in series 7. Those names? Jessica Raine, David Warner, and Liam Cunningham. … or, at least, that’s being said on internet. I am not exactly sure where, how and, especially, why Daleks would ask for asylum, but these reasons alone should make the first episode of season 7 interesting to watch. It’s going to be released to the public onÂ Tuesday 14th August 2012Â at 6:00pm.Â The episode has been described as including “every Dalek ever” and it was named in the Institute’sÂ advance programme. Some images from today filming of series 7 ofÂ Doctor Who. 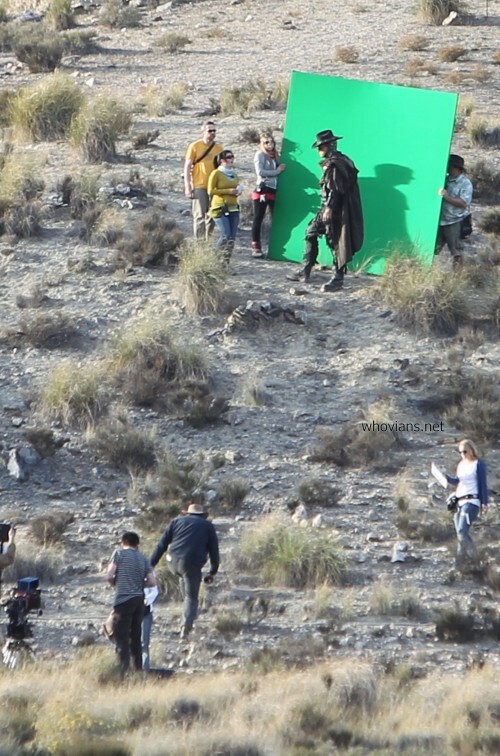 Some pictures made video about the filming of series 7 with Jenna Louis Coleman and Math Smith. The action seems to happen in Victorian Times. Â The cast and crew of Doctor Who were filming episode 5 of series 7. They had recently been filming in New York and Cardiff and they were probably have been filming here for the final part of the episode. They were filming at Box Cemetery, Llanelli. Matt Smith, Karen Gillan, Arthur Darvill, Alex Kingston and a Weeping Angel were all on set.